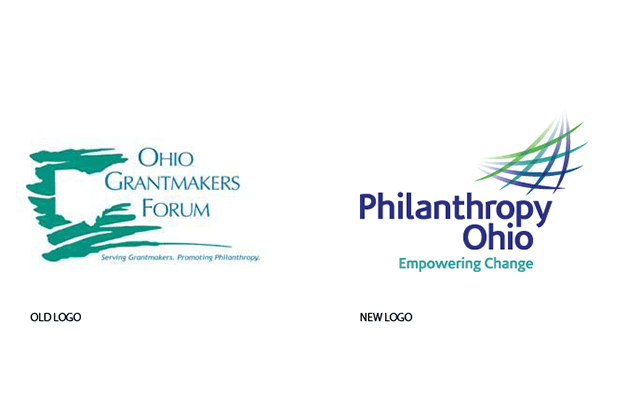 Philanthropy Ohio A regional association of grantmakers change their name, and get a new logo and tagline to align more closely with their mission and audiences. 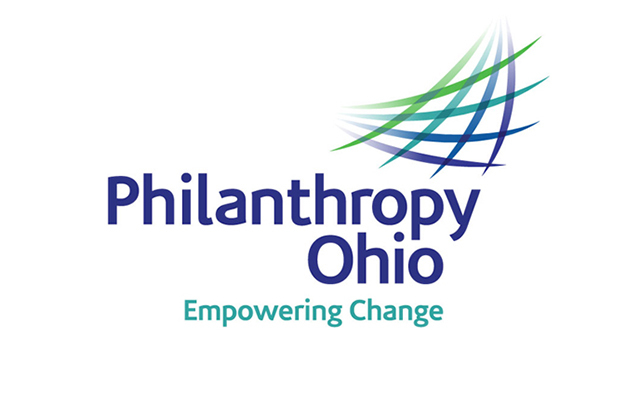 Philanthropy Ohio provides leadership for philanthropy in Ohio and to enhance the ability of members – foundations, individuals, and organizations – to fulfill their charitable goals. Formerly ‘Ohio Grantmakers Forum’, Philanthropy Ohio was heading in a new strategic direction that extends the organization’s focus beyond just organized philanthropy to include new types of members, while expanding and updating the key educational, advocacy, and leadership services that have made them so successful during their 30-year history. TAGLINE: A tagline is a short, memorable, focused phrase that is intended to provide insight into our organization and convey the essence of our impact or value. The new tagline’s inclusion of the strong word “empowered” is supported by Philanthropy Ohio’s leadership, service and networking; while “change” actively speaks to the possibilities that are created by giving. 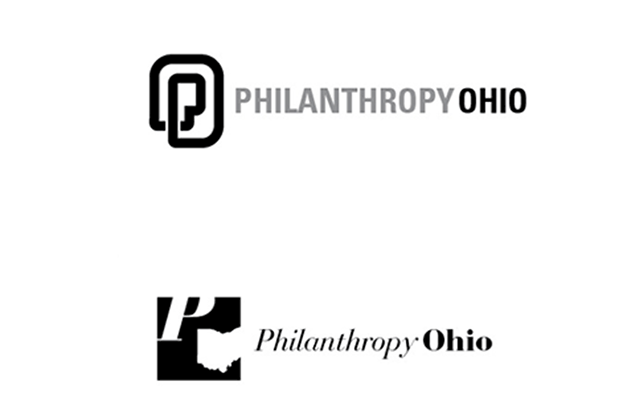 By networking and taking advantage of all of Philanthropy Ohio’s leadership tools, members will be able to maximize the impact of their giving, and ultimately the change they create. 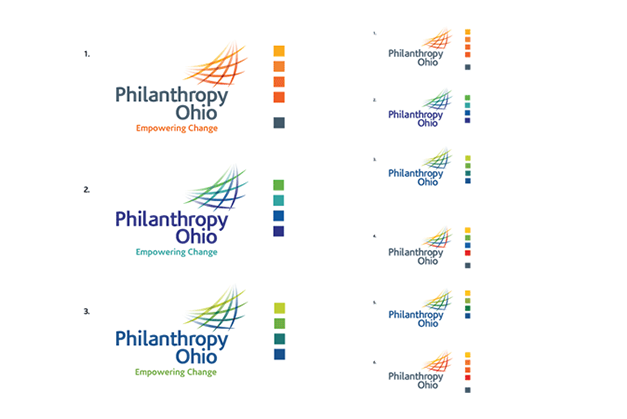 Also in a process of “changing” is Philanthropy Ohio as an organization, and the nature of giving itself – with regard to new & diverse opportunities for people to participate in philanthropy. LOGO: an abstract icon to the upper right of the words represents the “collective fabric” – or coalition – of diverse membership. 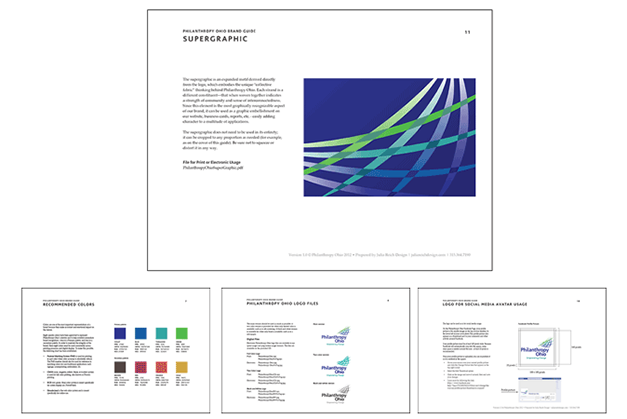 Each strand is a different constituents, that when woven together indicates a strength of community and sense of interconnectedness. The fabric swoops upward, illustrating a dynamic progression, or uplifting, of knowledge. The blue and green color palette are common amongst visual identities in the philanthropic sector; however in this logo, these shades are synthesized with turquoise and violet, resulting in a palette that is clean and crisp, professional yet friendly. The typeface is Corisande, a humanist sans-serif font family that brings a modern, unique, and refreshing sensibility the new logo.